Sladebrook is led by a group of elders. There is no single "leader"; they all work together and are responsible for the spiritual direction and general running of the church. Alan is married to Viv and they have three grown-up children and four grandchildren. They are both originally from Merseyside and came to Bath in 2000 after spending over twenty years in Pembrokeshire, West Wales, firstly in the oil industry and then in church ministry. Alan is keen on cycling. 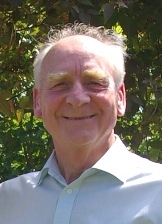 John is the church secretary, and is responsible for arranging visiting speakers, dealing with church correspondence, and generally keeping things running smoothly. He is married to Jean, and they have three grown-up children. Paul is married to Sue. They have two grown-up children and three grandchildren who constantly delight them whilst ensuring they are kept challenged and quite active! Paul is involved with the church music and Sue hosts ‘Refresh’ on Friday mornings. "A central part of our church's ministry is to share the good news of the love of Jesus with those in our area." Craig serves on our leadership team as our local Community Minister and also works as a Counties Evangelist. He completed his Bible degree at the University of York, and has served God's Church across the UK. He can be contacted on 07443489431.